Google has done to competitive analysis what the IPod did to music: revolutionized it. 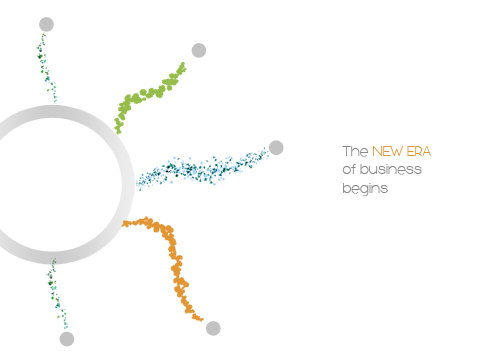 Finding competitors has never been easier thanks to the savvy web spiders Google employs. But finding out who your competitors are is only one side of the story, which is why in this blog we will look at how social media takes competitive analysis to the next level. Knowing your competition is as important for starting a new business as tying your shoes before a marathon. You won’t get very far without doing it. Real knowledge about your competitors, however, comes not only from knowing who they are and what they do, but also from understanding what people think of them. And that’s where social media comes in. While reviewing competitors websites, checking industry reports and browsing through articles can help you understand them from a macro level, social media sites can be used to glean deeper insights about what people really think. Linked-In Answers: Linked-In announced that it had a user base of approximately 90 million at the beginning of the year. Linked-In Answers is a part of the platform where users can go to ask a specific question — in most cases these questions are answered by an expert on the topic. There are many different categories of Answers, which leads to a lot of good insights on peoples’ experiences with or knowledge of a certain industry. Twitter: Twitter is quickly becoming the new search when it comes to people looking for products or services. By typing in a certain competitive phrase like ‘computer store’ or by using a hashtag (#) followed by a common phrase or term (ie. #laptop) you can see results that are sourced from any of Twitter’s nearly 200 million users who posted about the topic. One thing you can’t do on Twitter is people search or company search, which is why directories like Twellow and WeFollow are useful. Facebook: About half of Facebook’s 500 million+ users go on Facebook everyday, and the average user spends about 46 minutes a day on the site. With that much information being shared, you can imagine that there is some great information being posted. Simply by looking for company pages where people can ‘Like’ a business and post comments, you can learn a lot about your competitors and how they do business. 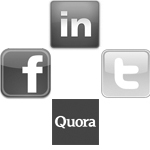 Quora: undoubtedly the most talked about new social network of 2010, Quora is all about Q&A. If you have a question, you can go on to Quora and ask it, as long as someone has not asked a similar question previously. Quora differs from Linked-In Answers in terms of style and the way answers are aggregated, but the overall theme is quite similar. Quora also breaks down its answers into four major topics, making it easier to research certain industries (ie. anything to do with technology). Niche Sites: Many niche sites have emerged that are less about quantity and more about quality. These sites are often comprised of a group of individuals who are passionate about a certain subject and have organized themselves into a community. These sites are heavily moderated to prevent spam, meaning that most of the answers are well thought out and relevant to the topic. In most cases, you have to be accepted as a member by site moderators, so you need to ensure that you can put in as much as you take out if you are approaching one of these sites. Overall, the exploding popularity of social media is making it easier to find timely, relevant information about just about everything, including the competition. Take advantage of the opportunity to go beyond simply looking what a competitor writes on their website by digging into the sites where the conversations are happening. If anybody knows of any other social media sites to facilitate this process, let us know!